"ZZZ You" can mean only one thing: comfortable sleep and all that contributes to that goal. This is one of the best sleep names on the market because the brand (with an emphasis on "you") hones in on what is most important: your customers' well-being and happiness. If your customers are happy, then so is your company and its profit margins. Also, the "ZZZ you" is a wordplay of and pun on the familiar "See you." Therefore, this should be considered a visual as opposed to an aural brand name. 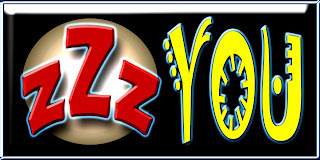 "ZZZ you" might be difficult to advertise on the radio, unless the speaker spells out each "Z." Because it is such a short name and the "ZZZ" a familiar symbol for sleep, this is not a major impediment, but the wordplay and pun may be muted on radio spots. This is essentially a TV, Internet, and billboard name. The domain itself has had only one owner, so you can be assured that ZZZyou.com has no unfavorable history with former owners. This means that Google, Bing, and Yahoo are likely to offer ZZZyou.com the search engine love that it deserves. Your tech department can easily verify the domain history. No trademarks were found for this term at USPTO.gov or Trademarkia.com.